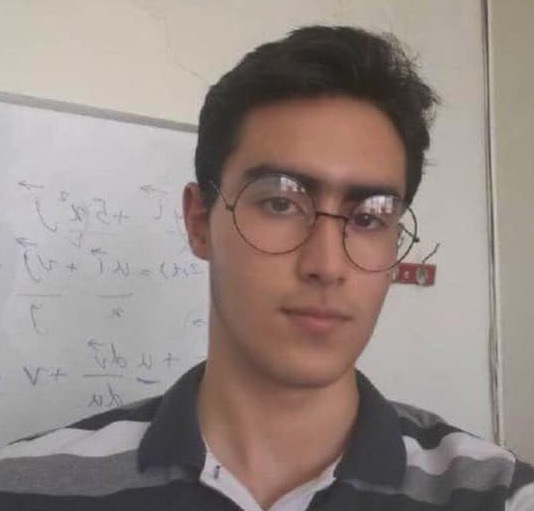 HRANA News Agency – Sepehr Shahidi Ghamsari, a Junior Civil Engineering student at Sina Higher Education Institute in Kashan, has been expelled from university and prevented from continuing his education because he is a Baha’i. Even though Baha’i citizens are deprived of university education, some of these citizens may be admitted to universities, but after a while they are prevented from continuing their education under various pretexts. HRANA has previously reported on the expulsion of Baha’i students in different cities in Iran. A new wave of expulsions of Baha’i students from universities has started in recent months, coinciding with the start of final examinations. 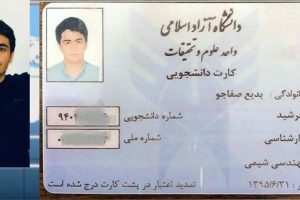 Shayan Manavi, a Civil Engineering sophomore at Islamic Azad University, Shahr-e-Qods Branch, was also expelled and deprived of continuing his education because of being a Baha’i. He realized his portal to the university website had been closed on 19 December 2018. 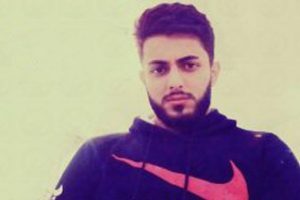 On 9 January 2019, Badi Safajou, a junior chemical engineering student, was expelled from the science and research department of the Islamic Azad University and was prevented from continuing his education because he is a Baha’i. 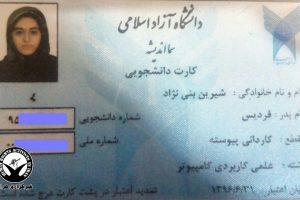 In addition, another Baha’i student, Sama Nazifi, was expelled from Islamic Azad University, Shahriar Branch while he was taking an examination. Despite the explicit law protecting the rights of minority religions, nevertheless, based on a letter from the Supreme Council of Cultural Revolution, Baha’is have been deprived of university education in addition to being banned from having government jobs. Each year, multiple reports are published in relation to the deprivation of Baha’is of higher education at Iran’s universities. This includes even people who are on the verge of graduating. Baha’i citizens in Iran are deprived of freedoms related to their religious beliefs. This systematic deprivation continues even though according to Article 18 of the Universal Declaration of Human Rights and Article 18 of the International Covenant on Civil and Political Rights, everyone has the right to freedom of thought, conscience and religion; this right includes freedom to change their religion or belief, and freedom, either alone or in community with others and in public or private, to manifest their religion or belief in teaching, practice, worship and observance. According to unofficial sources, there are more than three hundred-thousand Baha’is in Iran. However, the Iranian Constitution only recognizes Islam, Christianity, Judaism and Zoroastrianism, and does not recognize the religion of Baha’is. For this reason, the rights of Baha’is have been systematically and continuously violated in Iran over the past several years. Posted in Denial of Education, expulsion, Kashan.